what is Pilates, and what are those crazy Pilates machines and equipment? Pilates is an exercise method that Joseph Pilates created back in the day, 1930’s to be exact, using hospital beds and their inherent springs to create resistance. He later used the same spring concept to engineer what we now know as the Pilates Machines. However, Just to help you set the lingo straight, in Pilates studios the machines are referred to as “apparatuses” and the small equipment is commonly referred to as “props.” Joseph’s original equipment design hasn’t changed much since the 1930s and almost the exact same model of the apparatuses he created are in Pilates studios today. Pilates is an innovative and safe system of mind-body exercise using a floor mat or a variety of equipment. It evolved from the principles of Joseph Pilates and can dramatically transform the way your body looks, feels and performs. Pilates builds strength without excess bulk, capable of creating a sleek, toned body with slender thighs and a flat abdomen. Mat Pilates: Mat Pilates, commonly called “network,” is the method most people are familiar with since this approach is often present at fitness centers, retreats and in online classes. Pilates Props: Such props include the Pilates ring, toning balls, resistance bands, BOSUs, foam rollers, large stability balls, medium stability balls, small stability balls. Pilates Reformer: The Pilates reformer is the most common apparatus of the family. It was named the reformer by Joseph. The reformer has a “carriage” which slides along two railings that serve as the frame of the machine. The carriage has springs of varying resistance that hook up to the front edge of the frame that can create as much or as little resistance as you’d like for a particular exercise. 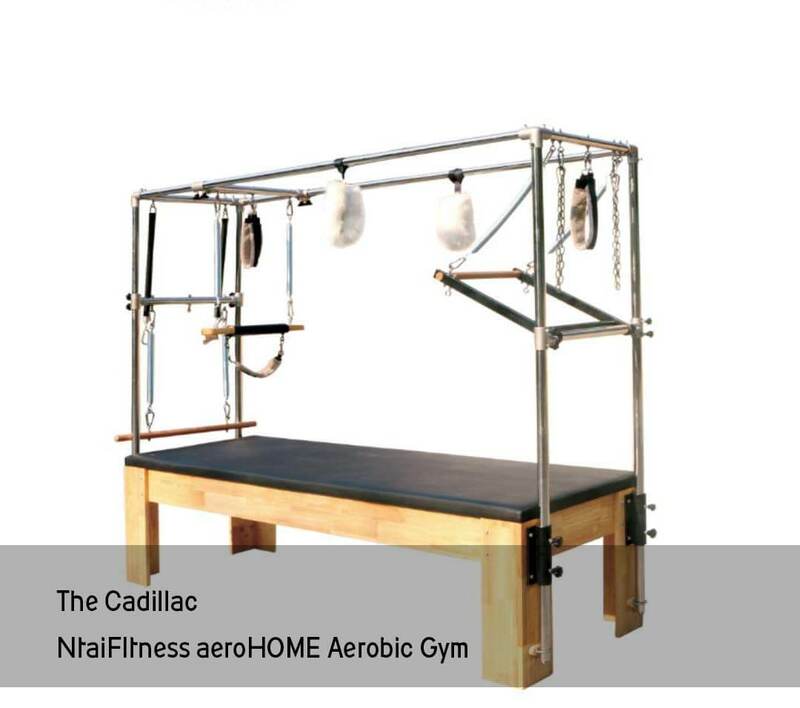 Pilates Cadillac: The Cadillac was Joseph’s “Cadillac” apparatus, just like the car, fully loaded with all of the bells and whistles. Pilates Chair: The Pilates Chair is one of the smaller apparatuses that still utilizes a spring system for resistance. Pilates Barrels: The “Barrel” category in Pilates is widespread and includes the ladder barrel, spine corrector, and classic barrel. It’s fast and economical. Balanced Body's training and equipment packages offer you the most economical way to launch a profitable Pilates program. Compare our quality to anyone! Where to Buy Pilates Equipment? See our sample Pilates training and equipment packages below. Please call us for a customized package to meet your specific needs. What's included in our commercial pilates equipment training and equipment packages? Equipment engineered and built all pilates equipment size for your commercial gym, setting up your gym with Ntaifitenss Gym Equipment today. great entry-level Reformer, lightest weight, lowest price, easiest to store. the most versatile, expandable, easy-to-use Reformer system in the world. the most intuitive, easy to use Reformer available, with updates your clients will love. the most compact, durable and adjustable on the market, and the only Pilates chair that provides a full-body workout. part mind-body, part strength, part cardio. And totally unique!. 2018- Equip Your Gym with Durable Pilates Equipment from Ntaifitness. We are pilates equipment manufacturers in China. We are best rated commercial gym equipment manufacturers located in DeZhou city, Shandong province. You can read more about Ntaifitness.